Hi, I’m Ben. - Goodbye Wunderlist. Hello Outlook. Up until I started typing I didn’t realize how difficult it would be to write this post. Today, after four and a half years, I am officially saying goodbye to Wunderlist. At the beginning of August, we’re going to move to New York where I’ll join the Outlook team as Director of Product Design for iOS, Android and Mac. And I’m beyond excited. When I met Christian and the (at that time) 11 Wunderkinder team in Summer 2011, I knew I had come to a special place. 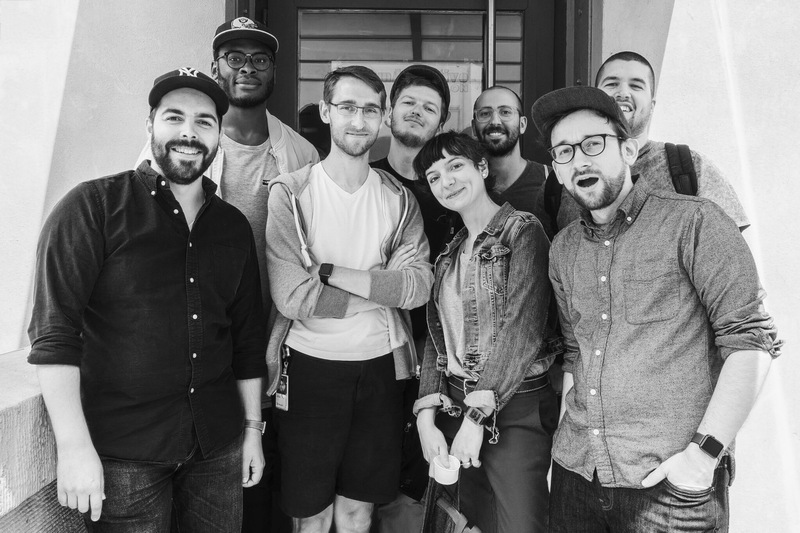 It was an incredibly talented team, driven by a mission to reinvent productivity. They believed fun is not the enemy of work, and that we could make productivity tools that are easy and a delight for everyone to use. Quite the opposite to what the competition was (and still is) doing. Their enthusiasm and ambitions were infectious. When I joined a few months later, in February 2012, the team was in a difficult spot. We had just launched the beta of our second product Wunderkit, and things weren’t looking so hot. After almost a year of hard work, we ended up launching a product that didn’t seem to fly high and was unlikely to be the global success Wunderlist was. Leading a team through the disappointment, shame and frustration that comes with such a moment is tough, as a team and individual. Today, I know it was one of the most important lessons I and we’ve ever been taught. Today, Wunderkit is long gone, and with great energy and a strong spirit we managed to build Wunderlist into the category-leading productivity platform we always envisioned. Over the years we made Wunderlist better, simpler, faster, easier, and more fun to use. We created signature design elements that were copied by our competition, created a “ding” sound that encouraged people to check off their to-dos just so they can hear it play, showed the rest of the world that wooden backgrounds can be in fashion (for a little too long sometimes) – and after all joined Microsoft to build great productivity services on scale. What I’m most proud of though, is the culture we were able to create. As a company, the way we design and build products people love has been the most rewarding achievement, and I’m grateful I was given the chance to play my part in that. With Wunderlist we’ve shown how design influences the relationship people have with the products they use every day. Productivity is typically full of negative emotion. So taking something that is typically boring and even daunting for many, and turning it around, creating something enjoyable to use, led to many users vocalizing their inability to live their lives without it. We’ve shown that good design creates real business values and better companies. And as I look back at my time at Wunderlist, I realize how much I’ve learned and grown as a designer, leader and friend. In order to keep this post at a healthy enjoyable length, I’m going to share the three most valuable things I found to be true thanks to my time at Wunderlist. As an athlete, the reason relaxation is part of your training regiment, is because it’s the key element to ensuring you have the energy to give that 110% in the race. It’s easy to get lost in the crazy rollercoaster ride that is a startup. Drastic highs and lows, doing what you love around the clock, the thrill of launching your product and having fun with your colleagues who turn into friends. But along the way, there was a time when I got lost in work, didn’t have a healthy mix between work and my personal life, and didn’t make decisions that allowed me to be both a good partner at home and a good design leader at work. I was fortunate enough to have had the support I needed to finally achieve both, thanks to my wife Cat who continues to help me become my best self. By dealing with some deep-rooted unhealthy patterns, reflecting on my priorities, being conscious about my schedule and making choices that allow me to be a good husband and father first, I feel more connected to life and have become a better leader. Managing is easy compared to leading a team. Leading means keeping the ship on course, not knowing if you’re headed in the right direction and always ready to steer the ship another way. Having your entire crew understand why things are happening and providing the necessarily skills to get the job done is one of my main duties. As a leader I’m given the trust of my team, they look to me for direction and advice, and it’s my responsibility to guide them through the good times and bad in order for them to grow and do their best work. I had to learn that the feeling of discomfort is normal. Being a leader is scary, intimidating and full of trip wires. It’s like being MacGyver every day. But fortunately in this case, your swiss army knife gets updated every once in a while as you make more mistakes, reflect and get better. We’ve never been big on processes at Wunderlist. It’s easy to hold on to processes, create too many or too complicated ones and then get lost in a complicated labyrinth of processes. Instead we rely on constant communication and collaboration across all disciplines of the organization. Now, if that sounds simple and easy, then you’re getting the wrong impression. It’s messy. However, the reason for our success and the fact that we survived the storms of the startup seas, was that we’ve established a culture based on core values and conventions we all believe in. So, no matter what gets thrown at us or what challenge we set for ourselves, we always approach problems with the same shared mindset, ambition, and sense for what makes a great product. Most importantly, we face these challenges together as one team. We believe in the magic of well-designed products, that design-driven companies are the better businesses, that the best design team is not a team full of designers, and that user experience is everyone’s job. Creating products people love is never easy, it’s a team effort and it requires determination and perseverance. Vacation. Tomorrow, Cat, Emma and I are going to travel to the United States to spend time with our family, set up our new home for the arrival in August and enjoy the summer by the beach. We’ll also go and spend time with some of our closest friends in Spain, and with my family here in Germany before we are going to make the big move to the U.S. While I’m beyond excited to start my new job, and work with my new team, it’s not without heartbreak that I’m leaving behind a group of people that has been more than just coworkers from the beginning. Some have become my closest friends. We’ve uncountable moments together that have shaped us to become who we are today. I can say without a doubt, these past four and a half years have been the most important years in my life yet, both professionally and personally. For that, and all I’ve had the chance to experience and learn with and from my team I’m grateful. To Christian, Steffen, Chad, Rebecca and my team, our board, former investors and partners I want to say a big heartfelt Thank you! P.S. If you happen to be in NYC or SF, looking for a design job or simply want to grab a coffee to talk shop, I’d love to connect, so please get in touch.